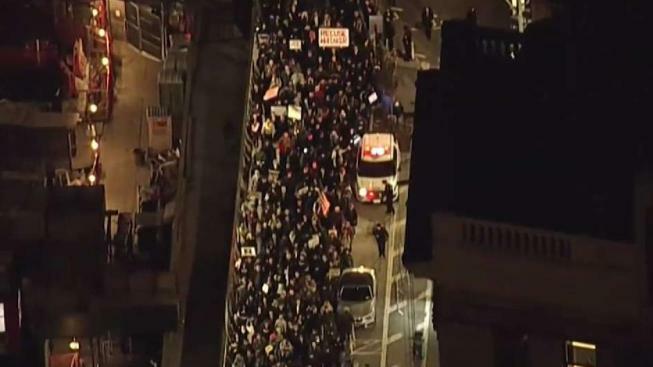 More than 6,000 people in New York City protested President Trump's ouster of attorney general Jeff Sessions, marching from Times Square to Union Square Thursday evening as they demanded that special counsel Robert Mueller be allowed to continue his Russia investigation. The demonstration was one of hundreds across the U.S. and overseas, quickly organized by the Move On advocacy group into a network called "Nobody Is Above the Law." The event page called for protests in each city at 5 p.m. local time Thursday. The group said Trump "just crossed a red line" that violates the independence of special counsel Robert Mueller's Russia investigation. More than 1,000 people started marching from Times Square at 5 p.m., holding sign reading "Nobody is above the law" and chanting "Hands off Mueller!" The crowd soon swelled to more than 6,000 as they marched toward Union Square, according to law enforcement officials. 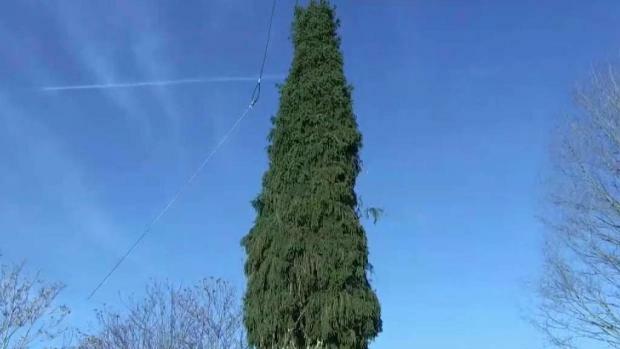 This year's Rockefeller Center Christmas tree hails from Wallkill, New York, which is in Orange County. John Chandler reports. "Jeff Sessions was fired as attorney general, and we strongly believe it's part of a larger plan to start discrediting the Mueller investigation," said one organizer, Shannon Stagman. Firing Sessions has potentially ominous implications for special counsel Robert Mueller's probe given that the new acting attorney general, Matthew Whitaker, until now Sessions' chief of staff, has questioned the inquiry's scope and spoke publicly before joining the Justice Department about ways an attorney general could theoretically stymie the investigation. President Donald Trump tweeted Wednesday that Jeff Sessions was out as attorney general. Matthew G. Whitaker, Sessions' chief of staff, will become acting attorney general. Similar protests were seen in Patchogue on Long Island and Morristown, New Jersey, along with other towns and cities across the tri-state. 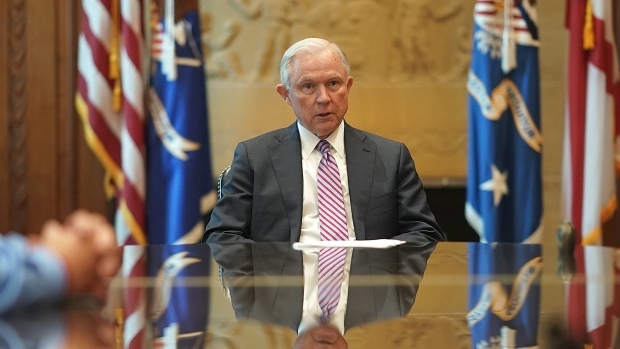 "I'm not a fan of Jeff Sessions but I think it puts the Mueller probe in jeopardy, and I think if he has nothing to hide, let it go to its conclusion," said Ray Alma of Queens Village. The resignation, in a one-page letter to Trump, came one day after Republicans lost control of the House of Representatives and was the first of several expected post-midterms Cabinet and White House departures. Though Sessions was an early and prominent campaign backer of Trump, his departure letter lacked effusive praise for the president and made clear the resignation came "at your request." Jeff Sessions departed the Justice Department building Wednesday after resigning as attorney general at the request of President Donald Trump.